A number of Missouri-based industries, such as auto manufacturing and mining, required workers to use asbestos products. Missouri residents faced the risk of exposure in public buildings and around industrial areas. With Missouri’s economy historically driven by industry, a vast number of workers in the state have faced the risk of asbestos exposure since the turn of the 20th century. Most of those affected are employees in Missouri’s manufacturing and chemical industries which use the toxic mineral for its natural resistance to heat, chemicals and electricity. Miners, specifically those working in southeast Missouri’s Lead Belt, also experience considerable exposure risks when excavating or handling asbestos-contaminated mineral ore. The inhalation of airborne asbestos fibers is proven to cause serious respiratory illnesses including asbestosis, lung cancer and mesothelioma. A longtime fixture in St. Louis, Missouri, the automobile industry is known to have exposed assembly plant workers to asbestos contained in brakes and clutches. Asbestos is also a common construction material found in many homes and municipal buildings including schools, post offices, courthouses and firehouses. Although most cases of asbestos-related disease are caused by workplace exposure, Missourians can also come in contact with natural asbestos that forms along the St. Francois Mountain Range. The highest concentrations of naturally occurring asbestos are found in St. Francois County and Iron County. Asbestos-related diseases claimed at least 735 lives in Missouri from 1999 to 2013. 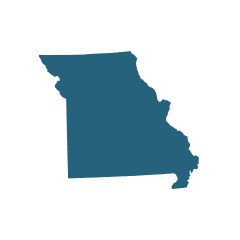 Missouri’s chemical, manufacturing and mining industries are important drivers of the state economy. In 2010 and 2011, chemicals, machinery and minerals were among the top five exporting sectors in Missouri. These industries are typically associated with workplace asbestos exposure in the state. Exposure to asbestos and the diseases that may result are a common occupational risk for manufacturing workers and miners in the St. Francois Mountains region. GAF Corporation, a branch of the German chemical company I.G. Dyes, faced decades of asbestos lawsuits after acquiring Ruberoid Corporation in 1965. Ruberoid operated a manufacturing plant in St. Louis that used asbestos to make roofing products. The National Institute for Occupational Safety and Health tested the St. Louis Ruberoid facility in 1967 and 1969 and found dangerous concentrations of asbestos present in air samples. The purchase of this roofing supplies manufacturer included ownership of an asbestos mine in Vermont where workers developed medical conditions caused by asbestos exposure. As a result, the mine was closed down less than a decade later in 1975. Also at risk for exposure were workers who manufactured and installed Ruberoid’s roof shingles, siding and insulation, because many of the company’s construction products contained asbestos materials. Not far from the GAF plant was a CertainTeed plant that manufactured asbestos-cement pipe. Both plants used chrysotile asbestos and the CertainTeed plant additionally used crocidolite, also known as blue asbestos, which is considered more dangerous than chrysotile. Confidential memos dating back to 1964 indicated CertainTeed was aware of neighborhood cases of asbestos-related disease near their St. Louis plant. In 1973, the Occupational Safety and Health Administration issued a fine to CertainTeed for the way it handled asbestos waste. Both the GAF and CertainTeed plants dumped their asbestos waste along the banks of Maline Creek. When the CertainTeed plant closed in 1979, soil was placed on top of the asbestos waste areas and deemed not a threat to the community. Broken asbestos pipes and other waste remained along the banks of Maline Creek, but Missouri’s Department of Natural Resources determined in 1980 that it would be just as well to leave it alone. In 1982, the Metropolitan St. Louis Sewer District attempted to clean the creek bank, but stopped shortly after beginning because they realized the cost was too extensive. When the U.S. Environmental Protection Agency (EPA) hired a company to assess the site in 1992, testing of exposed material revealed it contained upwards of 85 percent chrysotile asbestos and 15 percent crocidolite asbestos. In 1993, Maline Creek flooded and overran the asbestos waste pile, allowing the distribution of asbestos-contaminated debris throughout the flood zone. By 1995, Maline Creek was considered for EPA Superfund designation, which prompted GAF and CertainTeed to enroll in a state-run cleanup program because avoiding Superfund status would save them money long-term. The cleanup was finished in 2001, but the location of the asbestos waste remains in the creek’s floodplain, which could pose a threat in the future. Though manufacturing employment in Missouri has been on the decline for decades, the industry stabilized in early 2010 and notable growth has been reported in advanced manufacturing companies that produce commercial machinery, basic chemicals, pesticide and fertilizer. Exposure to asbestos has also threatened the health of workers at Missouri municipal buildings, typically because of poor asbestos management during renovations. In November 2011, a longtime employee of Jackson County Courthouse received a $10 million settlement in a lawsuit filed over improper asbestos handling procedures, marking the largest asbestos settlement in Missouri. Hickory Hills School in Springfield may have been another site of asbestos exposure. An environmental assessment revealed 35 different construction materials in the school with detectable concentrations of asbestos. Violations of federal asbestos standards were also documented at Lambert St. Louis International Airport and several fire district buildings, including sites in Hannibal and Beverly Hills. Some locations in southeastern Missouri contain natural deposits of asbestos, but the fibrous mineral is relatively scarce in the state. Nearly all asbestos deposits in Missouri form along the St. Francois Mountains, a remote region atop the Ozark Plateau that contains some of the state’s most unique natural features. The highest asbestos concentrations are found in St. Francois County and adjacent Iron County. Several former mines in this area, including an unnamed prospect in Mark Twain National Forest, a manganese mine in Winona and a small copper mine in Arcadia, contain documented asbestos occurrences. While natural asbestos is typically harmless, mining activity and other disturbances can disrupt the deposits and release dangerous mineral fibers into the air. This can pose health threats to miners as well as surrounding populations if fibers are inhaled. U.S. Post Office, 2002 Congressional Dr.
St. Louis Shipbuilding & Steel Co.
A tornado with winds exceeding 200 miles per hour touched down in Joplin, Missouri on May 22, 2011, destroying approximately 8,000 structures and claiming the lives of more than 150 residents. Disaster response efforts conducted by the EPA under the coordination of the Federal Emergency Management Agency (FEMA) were still ongoing seven months later. Among other health issues, the EPA was particularly concerned about asbestos exposure for any workers involved in the cleanup. According to the EPA, asbestos is commonly found in buildings constructed between 1930 and 1950, and in wall patching compounds and textured paints manufactured before 1977. Because many structures damaged by the tornado contain asbestos materials, the EPA has taken special measures to ensure cleanup workers are safe. Unless they are protected by masks and asbestos is separated from other debris and properly disposed of, workers exposed to asbestos are at risk for respiratory disease and cancer. The City of Joplin ordered the demolition of 118 heavily damaged homes whose owners failed to contact the city with plans to clear out the remaining debris. Before the city condemns the houses and hires a contractor to safely raze them, certified asbestos inspectors were hired to report any asbestos found on site. In 2010, impeachment charges were filed against Fire Chief Tim Carter for fraud, dishonesty and inability to follow orders in regards to illegal asbestos abatement procedures at his Hannibal, Missouri fire district building. Although Carter refuted the charges and told the Missouri Department of Natural Resources he was unaware that asbestos was improperly removed, it later came to light that this was not true. In lieu of federal safety procedures like testing for asbestos before abatement, Carter ordered several firefighters to remove asbestos-contaminated tiles, mastic and insulation without the necessary training or safety equipment. Further, Carter did not disclose that the materials contained asbestos or that removal procedures could place his firefighters at substantial risk for asbestos-related diseases like mesothelioma. Carter was put on paid administrative leave in November 2009 and his appointment as chief formally expired September 23, 2010. Though the impeachment charges were never proven and the city charter allowed him to return to the fire department, Carter chose to resign from his position. Missouri’s manufacturing and industrial history, which was rife with asbestos usage, caused many cases of asbestos-related disease in the state. As a result, many asbestos lawsuits have been filed in Missouri. 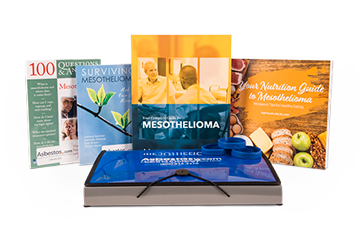 Missouri state juries have awarded verdicts in the millions to plaintiffs with asbestos-caused cancers like mesothelioma. The state has a two-year statute of limitations on personal injury suits, meaning that anyone with an asbestos-related disease has two years from the time of diagnosis to file a claim. However, surviving family members of people who die from an asbestos-related disease have three years to file a claim from the time of their loved one’s death. The following asbestos lawsuits went to trial in Missouri and some resulted in verdicts and another in a settlement. Many asbestos lawsuits filed in Missouri never see a court date because plaintiffs and defendants often settle outside of court. Poage v. Crane Co.: In 2015, a Missouri jury awarded $11.5 million to the widow of James Poage, who died of mesothelioma in May 2012. Poage worked as a machinist’s mate in the U.S. Navy during the 1950s when many asbestos products were used on naval vessels. Crane Co.’s asbestos gaskets and packing were among the asbestos products Poage was exposed to. Goede v. Aerojet: In 2004, a Missouri appeals court affirmed a $5.1 million verdict for the family of Stephanie Foster, who was diagnosed with mesothelioma in March 2001 and died as a result of the cancer in March 2002. Foster was exposed to asbestos through her father, who worked for a company that machined asbestos-containing parts for Aerojet. Samsel v. CertainTeed: Mary Samsel grew up within a mile-and-a-half of the CertainTeed plant that manufactured asbestos-cement pipe on the outskirts of St. Louis. Samsel’s father took advantage of the plant’s scraps that were made available for the public to take for free. Nearby residents used the scraps in their lawns and driveways and even made useful items like mailbox posts out of the piping. Samsel’s father frequently brought his daughter along when he picked up scraps for use in his lawn. Samsel developed lung cancer at age 47 and her treatment involved removing her right lung. Testing after surgery revealed asbestos in her lung tissue, and 60 percent of it was crocidolite — the kind used at the CertainTeed factory. Samsel filed suit against CertainTeed in 2001 and three days into trial CertainTeed agreed to settle the case. Ingham, et al. v. Johnson & Johnson, et al. : In July 2018, a Missouri jury ordered Johnson & Johnson to pay $4.69 billion to 22 women who claimed the company’s talc products contained asbestos, which caused them to develop ovarian cancer. The record-breaking verdict is among the largest J&J has faced over its asbestos-contaminated talc products. In January 2019, J&J’s motion to overturn the verdict was denied by Judge Rex Burlison of the 22nd Circuit Court of Missouri.